I know at London fashion week Vodafone has knocked the ball out of the park with providing our seats with chargers, so during the shows, we charge our beloved gadgets so we can keep up to date with twitter etc. Nour by Nour provides their most coveted gadgets with safety whilst remaining effortlessly chic and true to our own style. Made from genuine leather and Swarovski crystals, Nour products are not only exclusive to the market place but are of real quality. NOUR is an opulent brand, focused on the design of unique high-class leather accessories combined with exquisite Swarovski elements. Nour is the epitome of effortless beauty; elegance and style delivered through luxury and aesthetically crafted products, which are desired by the discerning and the style conscious. They use only the finest leather for their products. The leather remains unaltered to allow for the beauty of the hide to reveal itself through its own unique natural character and markings. In general full grain cowhide is much more expensive than other altered grain leathers. This distinction assures that our products are of the highest quality. 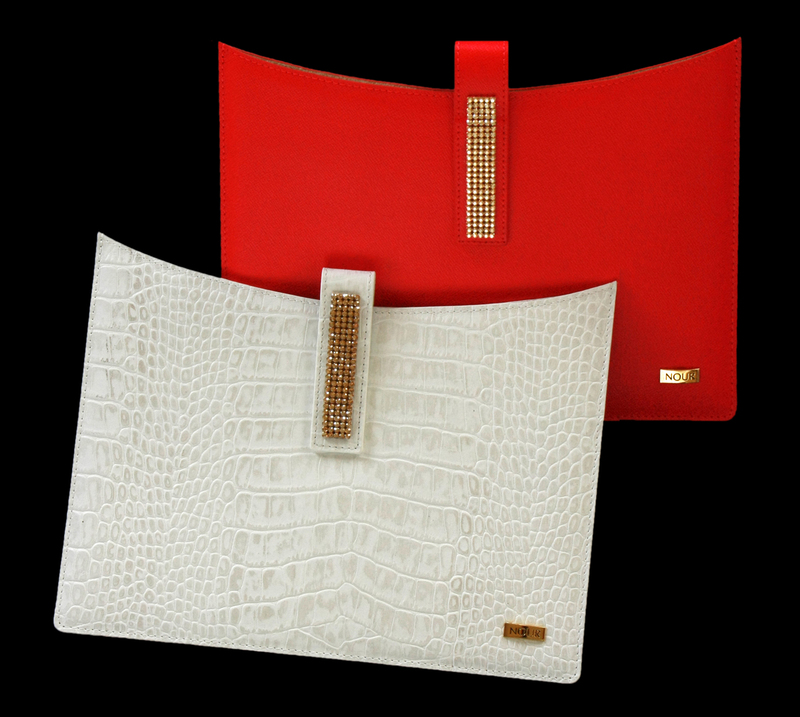 The accessory come in the collections from Iphone and blackberry cases which come in black, beige, grey, red, white, and different texture skinned hues tones with the detailing of Swarovski crystals. Going up in size I have got the Ipad cases on my eye due to that fact I need a new one. 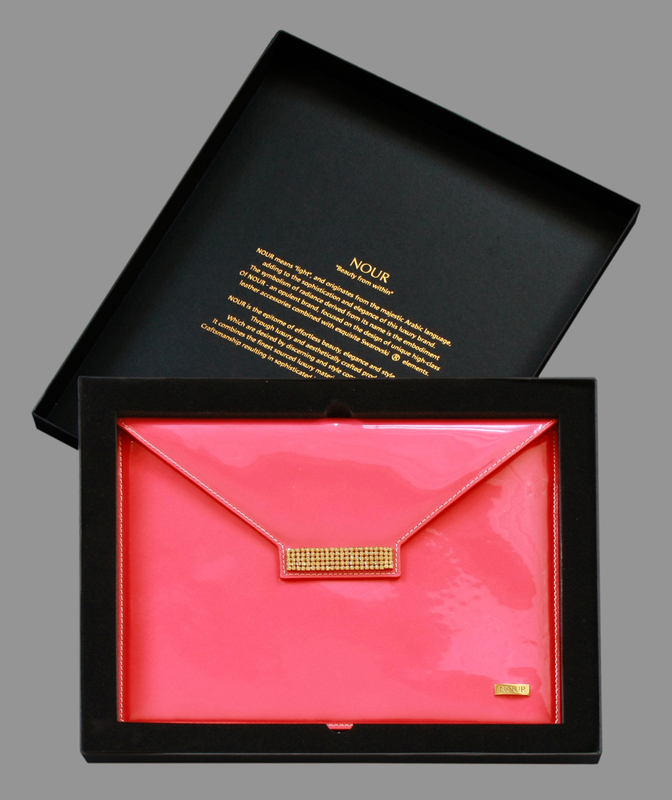 It’s so luxurious case which is more like a clutch with the tonal hues of a slivery golden palette. Finally onto laptops the collection features black cases with the embellishment, of Swarovski crystals. So are you ready to get your accessory must haves ahead of the fashion month?